We all know that patients are transported by ambulance. From a documentation perspective, there are occurrences where zone cars are listed as the transport unit. Having the correct transport unit documented is important to the Department but also each rescue squad. Bumper numbers are used to track call volume, which is used in reporting throughout the Department (and in squad grant applications). Incorrectly documenting the transport unit means a squad isn’t credit for the transport. It also means your report is wrong on a fundamental level. 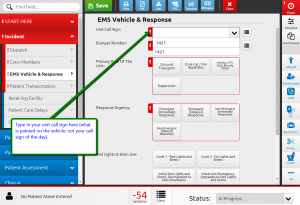 Elite has a built-in cross reference to look up a bumper number by a call sign. 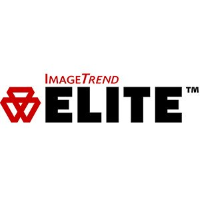 Call signs in Elite always refer to the vehicle call sign painted on the side of a vehicle. 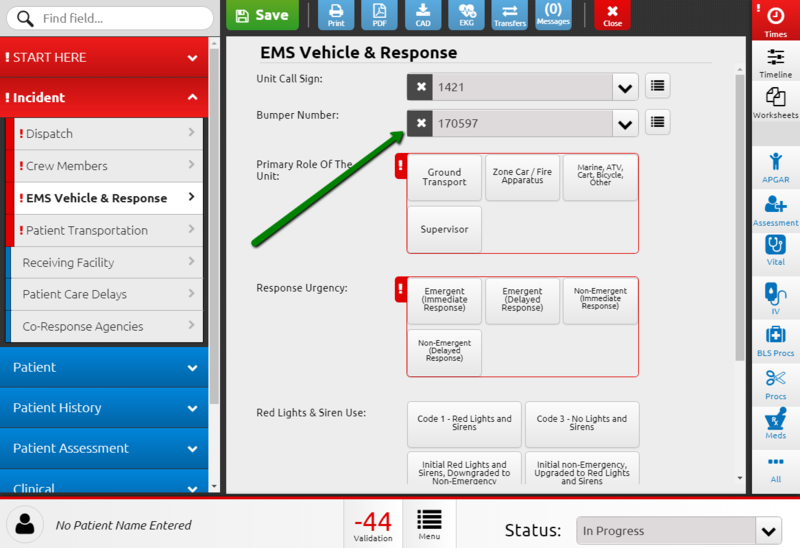 To look up a bumper number on a run form, enter the Unit Call Sign on the Incident | EMS Vehicle & Responses tab. Type in the number and select it from the list. The bumper number will be populated in the applicable field. If the bumper number is not correct for the call sign entered, use the bumper number provided and send an email to support@vbems.com with the correction. Note this is done automatically from the Elite Field Home Screen when you configure your crew. This issue seems to be an issue when a non-transporting unit creates the report and ends up transporting a patient.